This is the tenth week stitch of the TAST2010 Challenge by sharon,When I started on this challenge, I never imagined that I ‘ll like it so much,and I’ll start my own personal library of stitches.Sharon inspires me a lot.I am really motivated by her accomplishments which She generously shares with everyone. I didn’t post this stitch , because it was similar to18th week wave st .
Now for the stitch sampler.This stitch required tacking stitches for the clouds, I took a short cut method by doing this in a polka dotted fabric. Though this st is basically a filling st,I did it in a line. 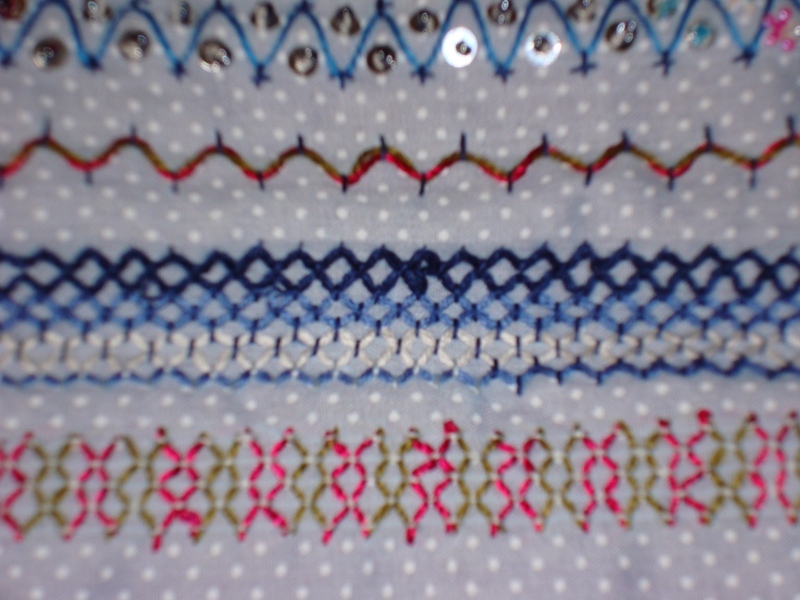 This stitch is a versatile st.I just kept adding more lines. 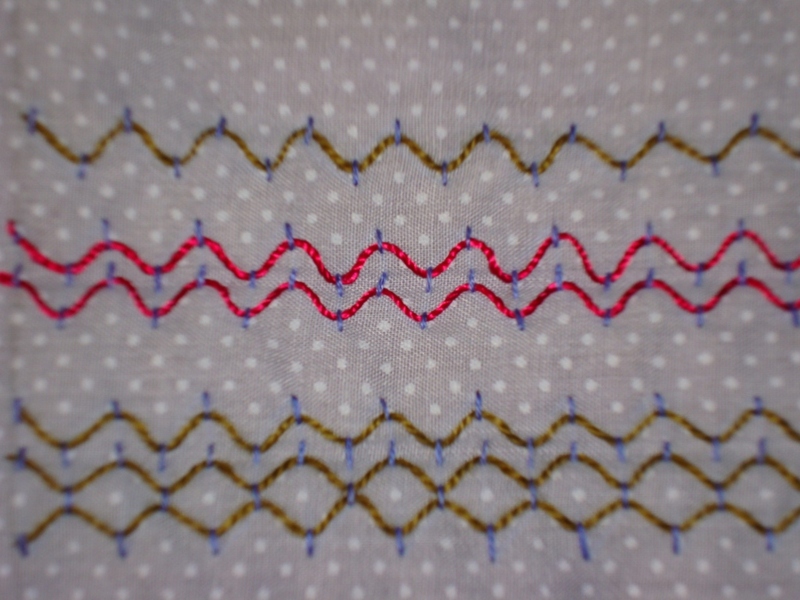 The above variations are done by adjusting the tacking stitches. the top line is one short cloud st and one long cloud st. 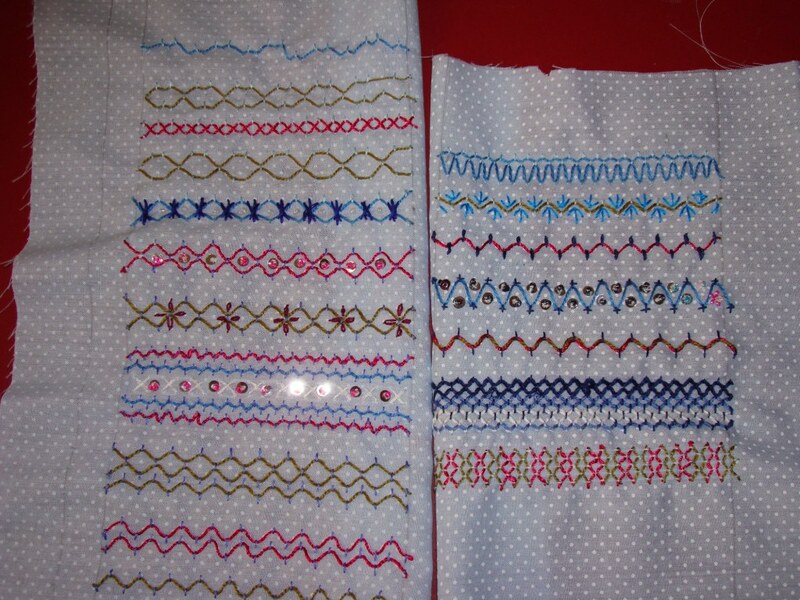 The next 2 lines- with fly stitches, and detached chain sts. bottom line-I placed more sequins. 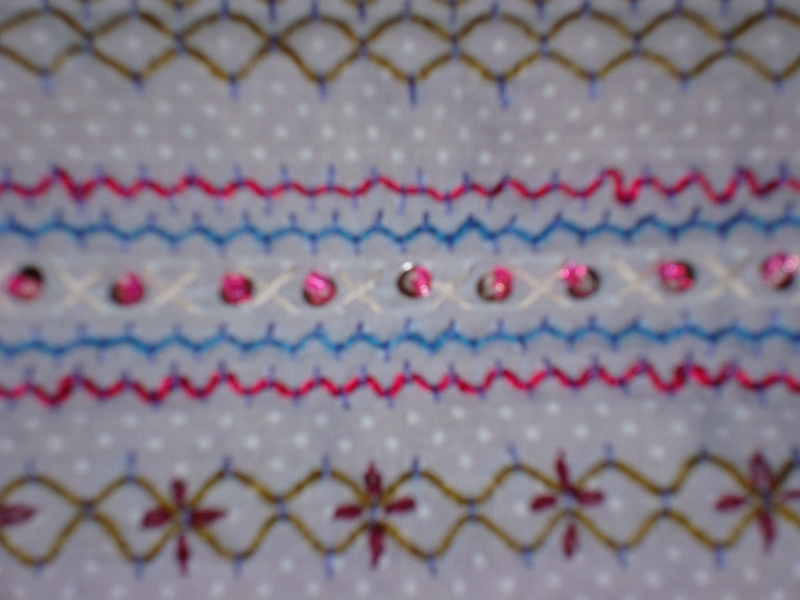 I tried whipping the stitch, But it looks more like, two threads were inserted into the tacking stitches. I tried using different shades of the same clour on the next line. 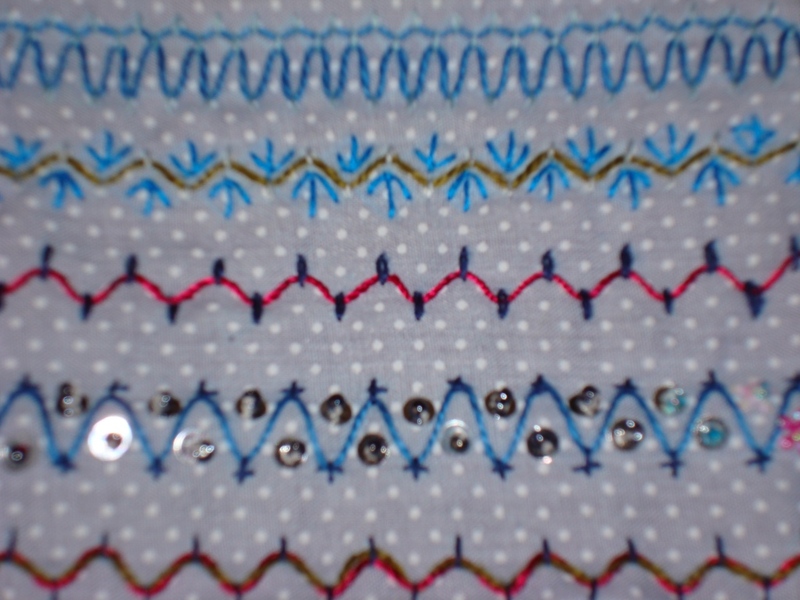 The last line is a trial in doing this stitch vertically. And the cloud filling is done in pearl cotton with tapestry needle.